What do the world’s elite athletes have in common with orthopedic surgeons? They’re both expected to perform at an expert level and they have both trained for years to hone their skills - but more importantly, they rely on a strong sense of confidence to perform at their optimal level. In the case of athletes, optimal performance may be the difference between a gold medal and a silver. In the case of surgeons, optimal performance may be the difference between life and death - these are high stakes that warrant dissecting the idea of confidence and how it can impact performance. Confidence is generally defined as “the feeling or belief that one can rely on someone or something; firm trust”, whereas performance is defined as “the action or process of carrying out or accomplishing an action, task, goal, or function.” When looked at together, one believes that they can rely on their ability to accomplish a goal - but where does this belief stem from? This belief is often conceptualized as one’s ability to forecast their chances of success in the future. The majority of academia suggests that the essence of this forecast lies in a complex web of self-persuasion, which is built upon several sources of “confidence information”. This information could be in the form of prior performances, social observation, verbal feedback, or physiological states. It is generally accepted that the leading source of confidence information comes from prior performances as they are based on personal experience - however, the value of this is largely dependent on whether one is satisfied or dissatisfied with their prior performances. A history of unsatisfactory, or a lack of, performances will rely more heavily on the other sources of confidence information to build a stronger case for optimal performance. The observation of credible actors such as coaches, trainers, and instructors will become a higher priority in the absence of personal experience - it’s easier for us to mimic a performance in front of us than to conceptualize one. Similarly, research shows that positive feedback about performance is more likely to heighten one’s perception of confidence than no feedback at all. This was exemplified in a study where the participants were given a “screening” test before the full test. After the screening test, half of the participants were told they were “above average” and the other half were told nothing. The results showed that the participants with positive affirmation before the test performed better than those without. Given the dynamic nature of confidence information down to the physiological state at the time of performance, one can quickly begin to see how confidence can be a fleeting perception unless it’s solidified and honed. A look into professional sports can reveal insights that explore the relationship between confidence and performance and how it may be strengthened. The world’s leading coaches often proclaim that one doesn’t achieve the levels of confidence required for expert performances without at least 10 years of deliberate practice on their field of competency. For example, a professional basketball player may lose confidence as it’s modified by their physiological state on the day - they may have woken up feeling tired, or the seats in the crowd might be empty which affects their level of arousal. They might then miss a few shots in the game, and use that ‘past performance’ as an indicator for future performance and continue to miss. A professional basketball player with 10 or more years of experience is likely to have experienced most of these physiological states already and is therefore prepared to deal with them properly. They have a larger window of time from which to draw past performance information,and have experienced a higher volume of both observational and verbal information over that period. In culmination, this greater set of information allows a more central locus of control; where performances are less often left to the uncontrollable states surrounding them and more often cognitively processed. In the context of an orthopedic surgeon, one can’t afford to “miss a few shots” in the OR, for the consequences could become catastrophic. They rely on the same sources of information as professional sports players, yet they’re expected to perform at the optimal level every single time. In this context, the idea of “movement confidence” proposed by Giffin and Keogh (1982) has proven helpful. Movement confidence is a model of confidence that considers three components: perceived competence, sensations of enjoyment, and fear of harm. Put simply, the model suggests that the contributions from each component would lead to a given level of confidence where physical movement is involved. Surgeons already have a high base level of competency as they’re unable to enter an operating room without extensive study and training, and it’s no stretch to assume they have a higher fear of harm until they have successfully operated procedures for at least 10 years. 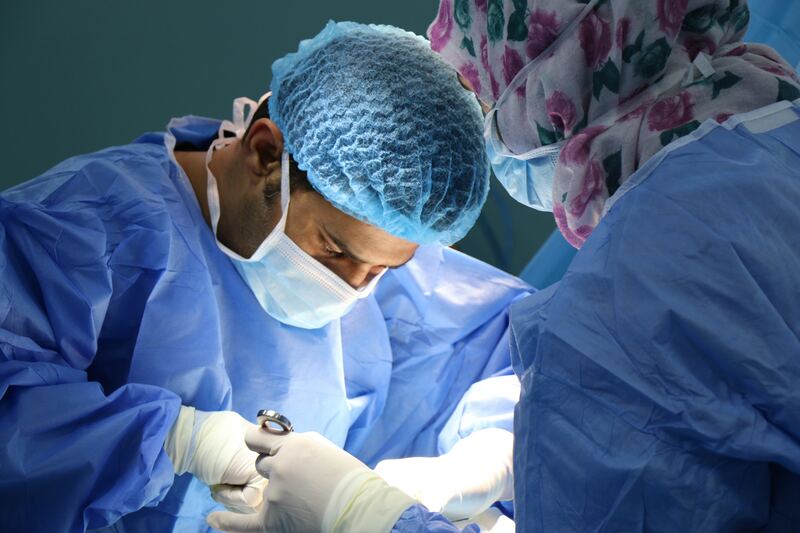 Training surgeons use cadavers to practice their procedures where fear of harm is falsely eliminated, which endangers real surgery as that component suddenly becomes a large contributing factor to confidence in the OR. That’s why recent advances in technology such as VR have allowed a new method of movement confidence training. The simulated environment still relies on physical movement to complete tasks, verbal and visual feedback is given real-time, performance history and data is vast, and fear of harm is falsely increased due to the fidelity of the environment. It’s easy to conclude that confidence and its tenuous link to performance is too complex to be treated as simple practice and positive reinforcement. When deconstructing the elements of confidence, one can identify sources of confidence information more readily and prepare for scenarios in which those sources are lacking or unavailable. In this way, one can train their confidence like a skill over time. When combined with profession or competence training (ideally in simulated or real environments), the link between confidence and performance can be strengthened. When surgery could mean life or death, it’s too important to ignore.